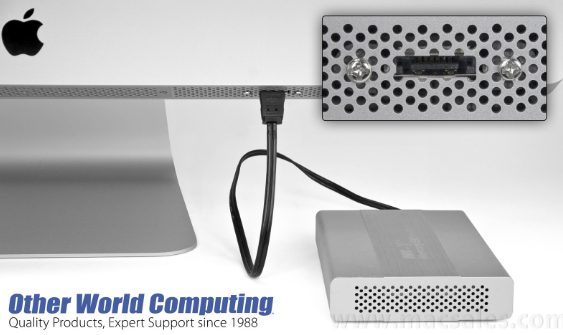 Wanted To Buy any mac-techs have experience with esata mod? any mac-techs have experience with esata mod? is there anyone who offered this service in the toronto area? Macdoc carries a lot of OWC product and are in Mississauga. You might drop them a line and see. Why are you even going that route when there are many more cheaper, easier alternatives?? Well,, maybe not as fast but that is a 2008 iMac model, I guess it could use an external boost if it's actually supported. well why would i replace it with an SSD and then have to open it up later on again if a problem arises? by using an External Sata port i never have to worry about opening up the imac ever again; and can also unplug + replug any boot drive or multiple boot drives as i see fit? Maybe while you have the Dremel tool out and working, you could use it to make an access door to the internal HDD to make things easier to access, something that Jony Ive and his crew should have done in the first place instead of sealing the damn iMacs up like a Security Vault. I'm just wondering if that iMac can actually compliment or use close to the potential speed of any connected eSATA Drive??? I do some checking before doing the work and spending any money on the project. its actually a pretty smart mod - or else i wouldnt even consider it as i dont usually "go there"